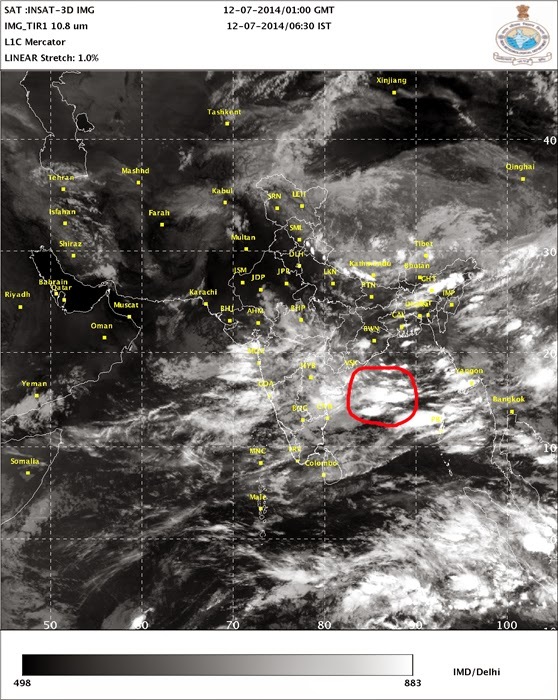 " The low pressure over NW Bay off the coast of W Bengal and Odisha persists. Associated upper air cyclonic circulation extends upto 7.6 km above mean sea level"
This is the 3rd LOPAR this season in the bay. Updates will posted as necessary.